Recorder by Leaurent Jeanneau (Kink Gong) in June 2005 in Ratanakiri. Photo by Ian Baird. 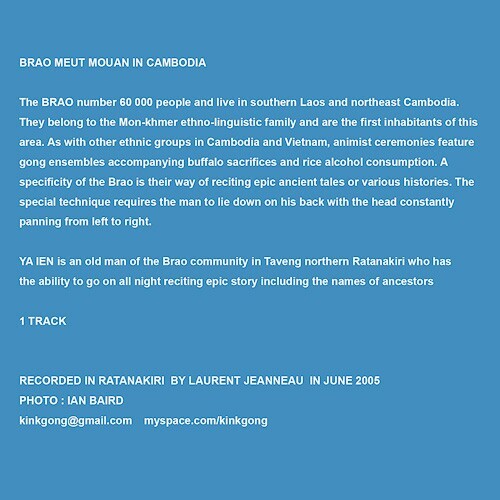 The Brao number 60 000 people and live in Southern Laos and North East Cambodia. 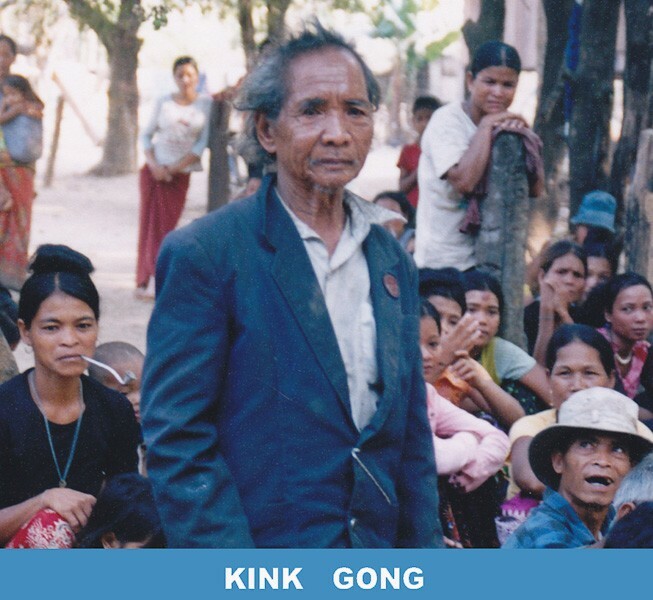 They belong to the Mon-khmer ethno-linguistic family and are the first inhabitants of this area. 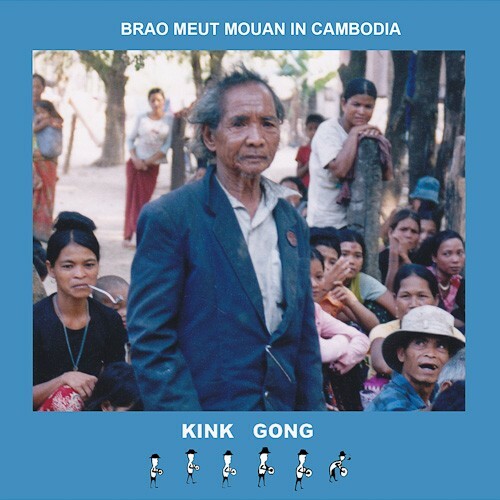 As with other ethnic groups in Cambodia and Vietnam, animist ceremonies feature gong ensembles accompanying buffalo sacrifices and rice alcohol consumption. A specificity of Brao people is their way of reciting epic ancient tales or various stories. This special technique requires the man to lie down on his back with the head constantly panning from left to right. On this cd, one track only: Ya Ien is an old man of the Brao community in Taveng Northern Ratanakiri who has the ability to go on all night reciting epic stories including the names of ancestors.